Who doesn’t need a dose of divine intervention in between rush hour, yoga class and your 8 o’clock dinner date? Roll-on this refreshing aroma for radical enlightenment on command! 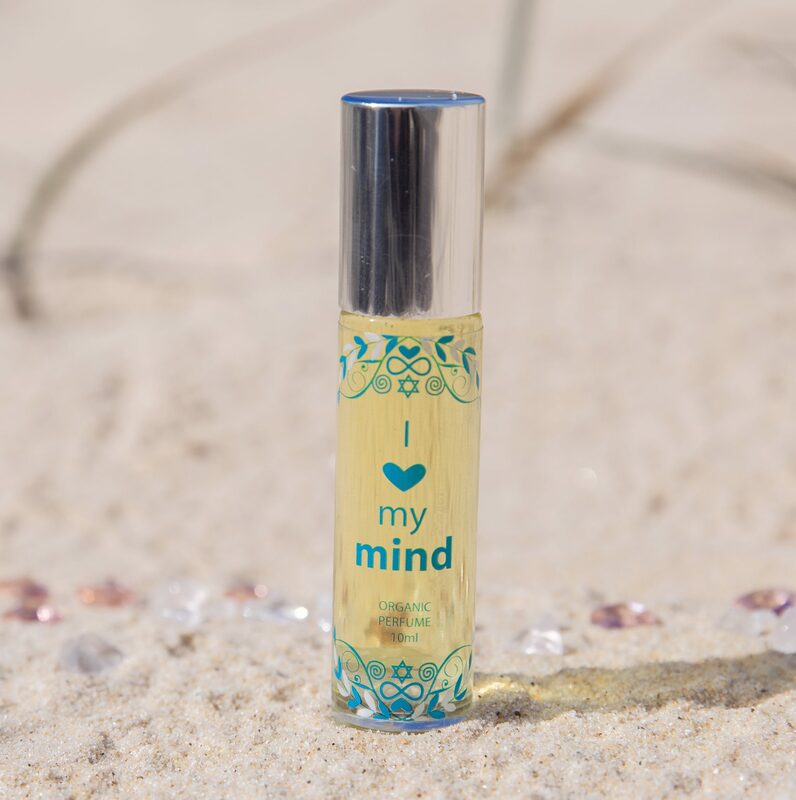 I ❤ MY LIFE Organic Perfume Collection has a powerful purpose – to remind you to love your mind, body and spirit. Each one is crafted into a base of love, certified organic camellia and essential oils, infused with flower and gem essences. Look closely and you’ll see quartz crystals catching the sunlight and twinkling. Each perfume comes with a ritual card to prompt you to make a self-love intention to support you throughout your day. Life is good! 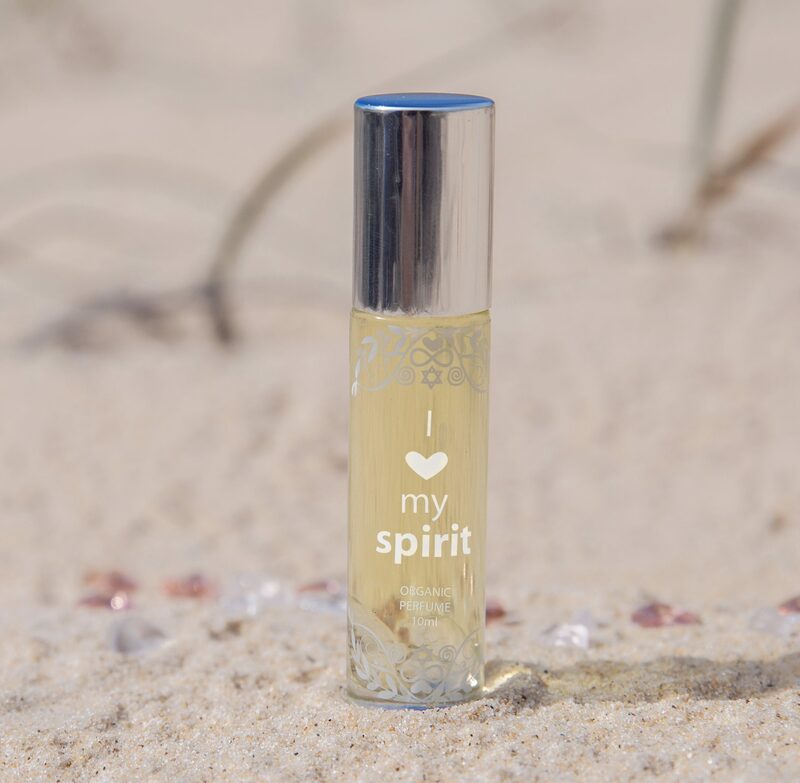 Adore yourself even more with every drop in these magic bottles. Smile big and walk tall. The world is more beautiful with you in it! Cruelty free. Soon to have international vegan accreditation. Ingredients: Love, camellia oil (Carmellia ofeifera), roman chamomile (Anthemis nobilis), bergamot (Citrus aurantium var bergamia), nag champa (Mesua ferrea), quartz chips, gem and flower essences, colour rays, sacred symbols, mantras and sound. All of these oils are certified organic in this combination except the mesua ferrea, which is not available in that way.